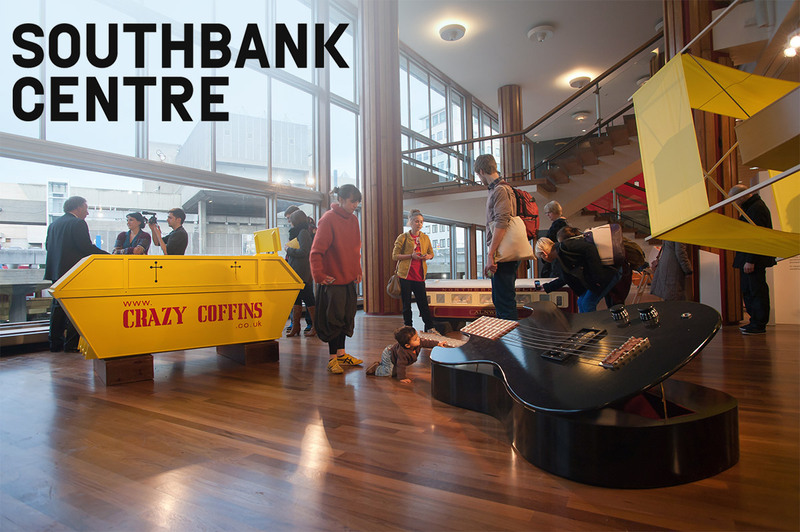 A selection of coffins was exhibited at the South Bank Centre during the weekend of 4th-5th March as part of the 'Belief and Beyond Belief' Festival. The festival explores the music, art, culture, science, philosophy, ritual and traditions that have risen out of religion in its many guises. Crazy Coffins Ltd (No. 5996617), wholly owned subsidiary of Vic Fearn & Company Ltd (No. 1049853). Both registered in England and Wales.